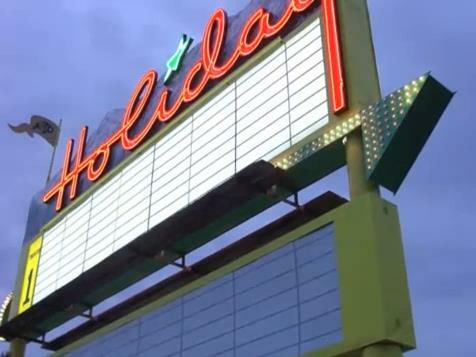 "What was once the vacant 27-acre site of the Holiday Drive-In Theater is now the Holiday Neighborhood, a new 333-unit community in Boulder, Colorado that combines ingenuity with affordability. Boulder Housing Partners acted as master developer and land developer for the Holiday Neighborhood in a unique partnership with local government, seven developers and at least seven other non-profit organizations in the creation of the Holiday Neighborhood. The Holiday Drive-In parcel in North Boulder was originally slated for development as big box retail. The City of Boulder purchased the property to allow more community-appropriate development. The City of Boulder sold the parcel to BHP at-cost, gave the neighborhood a density bonus for its high amount of affordable housing, and waived most of the site development fees. The City was key in making the Holiday Neighborhood successful in providing a high level of affordability that is also economically, socially, and environmentally sustainable. The Holiday Neighborhood has incorporated themes to help preserve our past. If you have lived in Boulder long, you might recall the days of the twin screen Holiday Drive In Theater. The theater operated at the site from 1969 to 1988. The developers named Easy Rider Lane after the first movie that brought people to North Boulder. The Drive-In Marquee has also been preserved. It a rare representation of the “googie” style popular in the 1950s. You can enjoy a view of this prominent landmark from the community gardens or the bike path along US 36. Perhaps the best example of affordable sustainable, “green” housing in Holiday is the Solar Row project. Consisting of nine homes ranging from 1200 to 1700 square feet, with Net Zero energy consumption and lots of green features, the development was built by Wonderland Hill Developments, which builds sustainable communities based on concepts that combine personal values, community, organic design and sustainable building practices and principles.